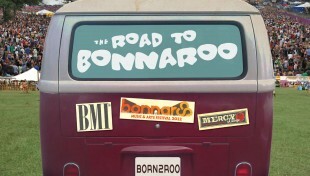 The Road to Bonnaroo Returns for 2013! Returning for its fifth year, The Road to Bonnaroo contest is again set to replace 8 Off 8th for three nights at Mercy Lounge: February 25, March 25, and April 15. As with previous years, each night will feature 8 bands performing short, battle of the bands-style sets for fans and a panel of judges, who will then vote on a favorite. One winner from each night will be selected to play the Cafe Tent at Bonnaroo this summer. The first 8 of the 24 bands in competition will be announced one week from today, January 21. The state of the music scene in town has never been so strong or exciting, so I’m expecting the best group of bands and the toughest competition yet! Just like in the past, the events are sponsored by BMI, Bonnaroo, Mercy Lounge, The Nashville Scene, and Yuengling, and are free to attend! Don’t forget to check out our 2013 Bonnaroo Lineup Rumors post for all of the latest scoop on this year’s national acts!